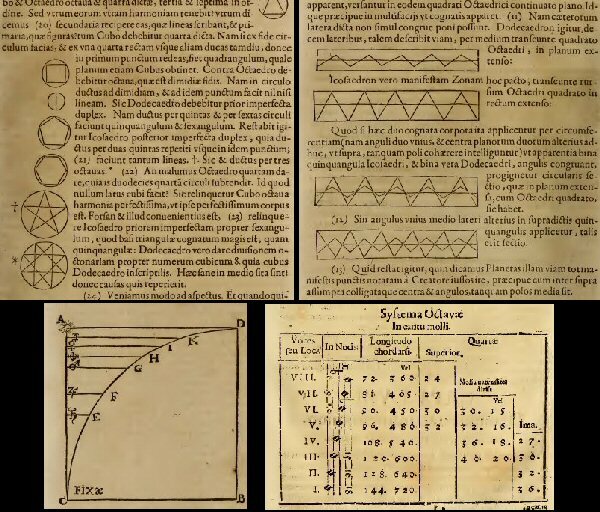 And those are from two different titles.. the first three are from Mysterium cosmographicum (The Sacred Mystery of the Cosmos), and the rightmost one is from Harmonices Mundi (Harmony of the Worlds). But I didn't. And I still haven't. 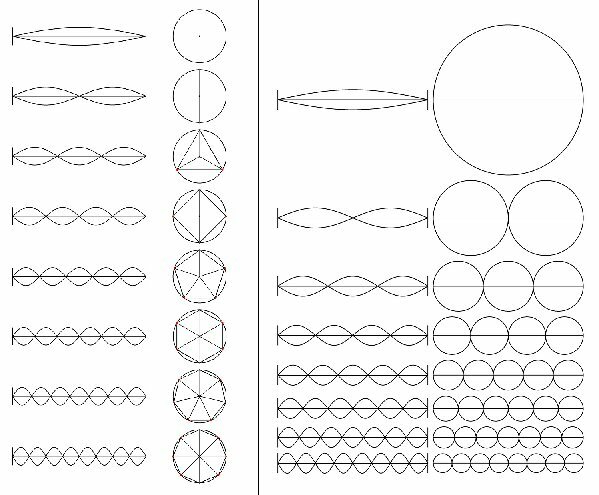 But last year I did find some code to draw sine waves (before that I was just laying out circles and erasing top/bottom halves and stringing them together.. lol), and I went as far as doing these. In Kabbalah, there's a genre of literature known as Ma'aseh Bereshit, whereby the mystic contemplates and hopes to attain a vision of the "Works of Creation" (Nature, to you alchemists). 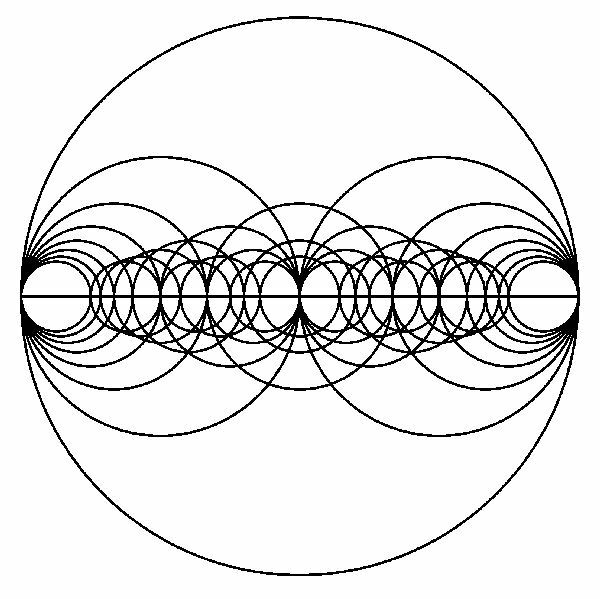 It's the other side of Ma'aseh Merkaba, or the Work of the Chariot, which concerns itself with gaining this 'ascent'. Merkaba mystics (existing at least 1500 years before any form of jewish mysticsm was called "Kabbalah) held books like Ezekiel, Isaiah, Daniel in high regard. "Revelations" from the New Testament could also be regarded as an example of this type of literature. The reports from people who 'rode the chariot" are highly allegorical. They are struggling, grasping to explain visions they have no language for, and no 'earthly' context for easy metaphors. They do the best they can, filtered through their understanding of the world, or paradigm. One thing they all have in common is reports of sound and music. Horns, trumpets, choirs singing, etc. "They each had two wings spreading out upward, each wing touching that of the creature on either side; and each had two other wings covering its body. 12 Each one went straight ahead. Wherever the spirit would go, they would go, without turning as they went. 13 The appearance of the living creatures was like burning coals of fire or like torches. Fire moved back and forth among the creatures; it was bright, and lightning flashed out of it. 14 The creatures sped back and forth like flashes of lightning." Turning while going straight ahead = wave. Speeding back and forth = wave. The ten sefirot are the basis: restrain your heart from thinking; restrain your mouth from speaking. And if your heart races return to the place where you started, and remember that thus it is written: And the living creatures ran to and fro (Ezek. 1:14). And concerning this matter a covenant was made. The ten sefirot are the basis: restrain your mouth from speaking, restrain your heart from thinking. And if your heart races return to the Place, for thus it is written: (like) running and returning (Ezek 1:14). And concerning this matter the covenant was made. The second version is really where I start with this.. Everytime I see "running and returning" I think of a waveform. And the emanation and return/influx. 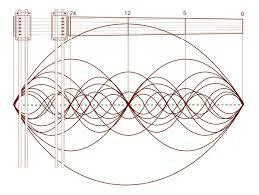 Of course, 'sound' is a lower reflection of a higher principal.. Sound only operates in gross matter. Light is a higher form, but still not the highest. Light is a form of electromagnetic radition, and the entire EM spectrum functions in the same manner. I wouldn't be the first to relate the "Four Elements" to the four fundamental forces: gravitation, electromagnetism, the weak interaction, and the strong interaction. 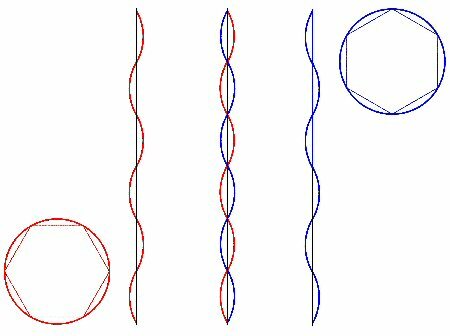 Physicists have rewound time to a point where they can unify 3 of them so far.. It seems like its just a matter of time before the 4 will become one original force. And even that is probably going to be a lower reflection of the "ultimate" reality. Im enjoying this line of thinking your on. Alot of these energy paterns look like charkras. In the third figure, your image is missing two symbols, the vecsis picese and the square. 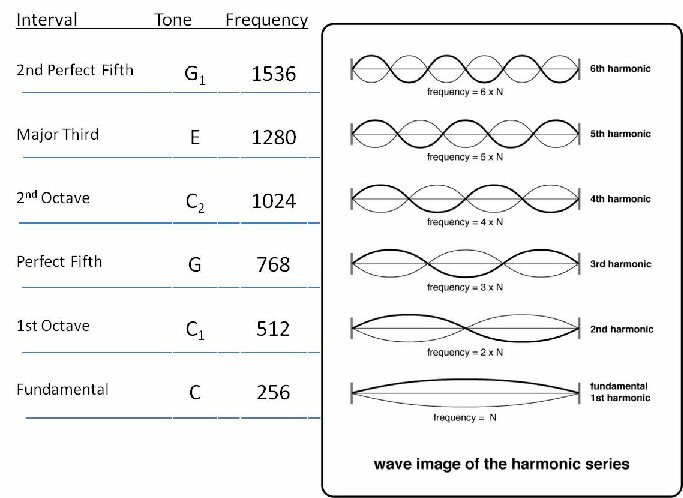 Keep up the good Harmonics. Actually i mentioned that, couldn't find my semicircle or square when I did my quick mock-up of the general idea. If, on the second picture you want to visualize that as the spine, the chakras would basically be at the "nodes". And to be honest, with the red and blue, I was thinking, fire ascends, water descends. Although I was thinking more in terms of the chain of creation of "worlds" at that point. 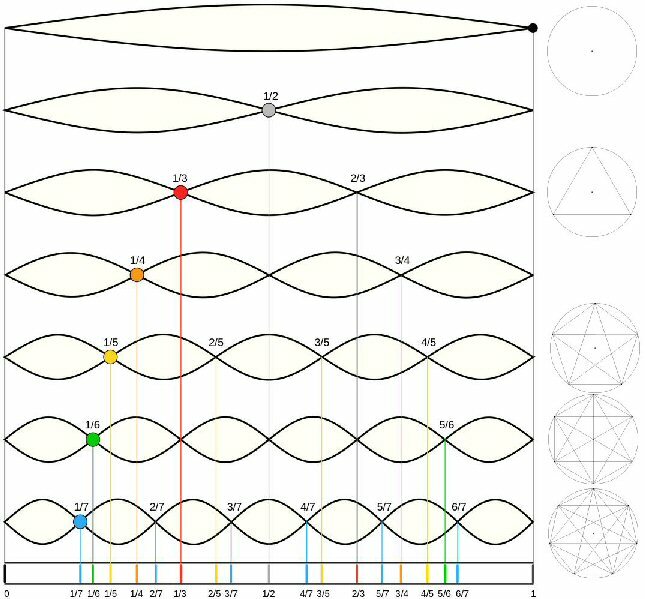 Also, I've seen the chakras assigned particular waveforms and frequencies before. This is wonderful, Greg. I've been keeping up with all your blog posts and very much appreciate your contributions. Keep 'em coming! !